airs every W﻿ednesday, 1 p﻿m PT / 4 pm ET. and has never been wounded. You have a part of you that has never been wounded. In fact, that part is the truest essence of who you are. Would you like to access it? Do you know how to use your own internal guidance system? Would you like to have peace? How about a more meaningful life? Your authenticity can give you these seemingly miraculous gifts—but you have to know how to get there. Authentic Living with Andrea Mathews will help you raise your consciousness to the level of your own I AM by interviewing some of the great spiritual experts of today. You’ll learn how to see your true self in the midst of life’s twists and turns and be challenged to think outside the box when it comes to the mysteries of life. Can you afford to miss even one of these shows? Authentic Living airs live Wednesdays at 1 PM Pacific on the VoiceAmerica 7th Wave Channel. Andrea has interviewed some of the world's most profound and prolific best-selling authors, entertainers and spiritual leaders on the Authentic Living Show. Please click any of the names below to listen! 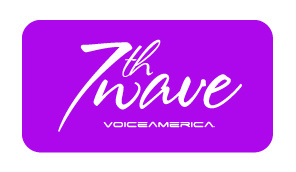 The Authentic Living Show has been syndicated on VoiceAmerica.com, the 7th Wave Network since July 16, 2008.